Thanksgiving is a wonderful occasion; the air is cooling, winter clothes are out of storage, and families are coming together celebrate and to remember everything they should be thankful for. However, large groups, whether at home, church or school, can be challenging to entertain. Sometimes children need a little more structured time. Try the following activities for a Thanksgiving full of Christian spirit and fun. Most of these games and crafts can be played by or adapted for kids of all ages. These napkin rings are a great craft for younger kids. If they can hold a crayon, they can do this project. Just ask an older child to write the Bible saying onto the ring, if necessary. When at home hosting a Thanksgiving meal, encourage guests to try this activity early. Not only will they have fun as soon as they come through the door, but you will obtain some charming, homemade decorations for the table. Allow the children to color, scribble on, paint, or write on several sheets of construction paper. Cut the colored papers into strips of about two inches wide by six inches long. Have older children (or those who are able) write Biblical quotes or messages of thankfulness onto the strips of paper. Glue the ends of the paper together, with about one inch of overlap. If you would rather buy pre-cut paper napkin rings for the kids to write on, Oriental Trading has cute fall themed ones. The cornucopia is an ancient Thanksgiving symbol of plenty. Make a cornucopia centerpiece for the Thanksgiving table. This cute decoration also serves as a reminder that for some, Thanksgiving is not a happy and prosperous occasion. Explain how it is possible to make the world a better place by offering assistance to others in a small way. Cut out paper flowers or vegetables for the cornucopia and write a little note on each, outlining your promise of help. I promise to help my neighbor rake up his leaves this fall. I promise to help my mom cook dinner at least once a week. I promise to volunteer at the cat shelter. I promise to help clean my church. Making a basic cornucopia is simple. But, it is possible to prepare a fancier model, even an edible cornucopia, in advance, if table decorations are your thing. Roll or fold the felt or construction paper into a cone shape. Tape or glue the ends of the felt or paper together. Trim or decorate as necessary. Draw flower or vegetable shapes onto colored construction paper. If making a flower, cut out a different colored circle for the center of the flower. Make a stem using a pipe cleaner if you wish. 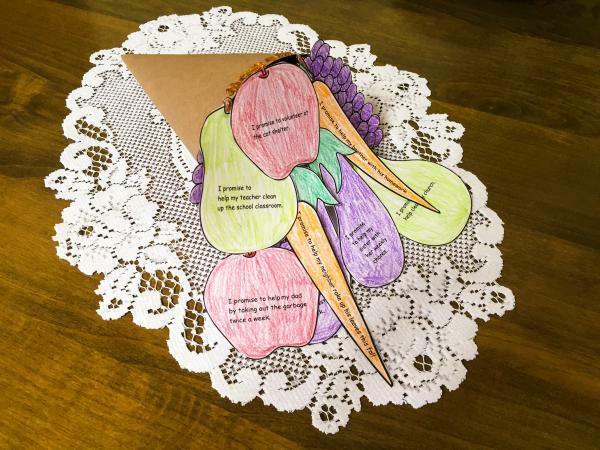 Write a promise onto the flower or vegetable and place into the cornucopia. The Lord's prayer says: "Forgive us our trespasses, as we forgive those who trespass against us." It is a Thanksgiving tradition for the President to pardon one turkey just before the day of feasting. To remind guests, students, or family of the need for forgiveness at Thanksgiving, have each make a turkey for the "Pardoned Turkey Pen." They should write a wish for forgiveness onto the printable turkey. It might be as simple as; "Forgive me for my anger," or "Forgive me for fighting with my brother." Then, they should place the turkey into the "pen." Anything works as the turkey pen: a designated side table, a tray, a bookshelf, or the entire table! Using a marker, write your forgiveness wish onto the turkey. If you have small children, they may want to decorate the turkey with feathres, googly eyes or even glitter. 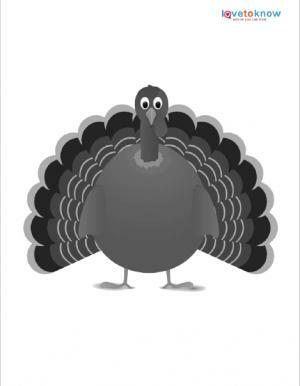 Use the glue to attach any decorations to make your turkey stand out. Put the turkeys together in the "pen." 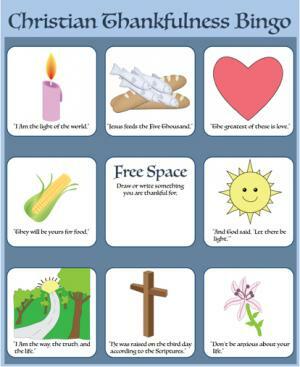 A bingo sheet which depicts things in the Bible to be thankful for. You'll need enough for each person playing plus one extra. Use the extra bingo sheet and cut it into its individual picture segments to use as bingo cards. Cut pieces of paper into fun fall shapes to use as bingo markers. You can also use food like Cheerios, jelly beans, etc. Hand players a bingo card and multiple bingo markers. Go over the rules if there are young children. Remind players the middle square is a free square but they must fill it in with a word or picture of their choice. In this case, they should draw something they are thankful for. Draw the bingo calling cards one by one, holding up the cards so everyone can see and allow the players time to place their markers on any matching spaces. Keep drawing cards until someone matches three in a row either horizontally, vertically or diagonally. Thanksgiving might not have been a holiday in Biblical times but giving thanks to God is certainly a common theme in the Bible. To get kids up and moving after the feast, consider a Thanksgiving treasure hunt with a Biblical twist. 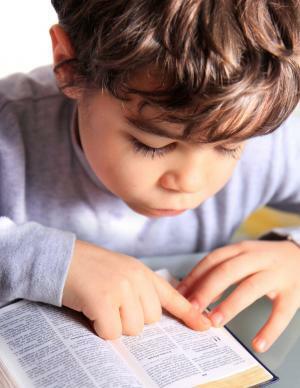 To seek the treasure, kids must first locate several verses in the Bible and fill in the missing words from the verses. Take ten sticky notes and write one common household or outside object (e.g. keys or tree) or place (e.g. bathroom or patio) onto each sticky note. These things or places will be where you hide your treasures. Write or print out a list of Bible verses, leaving a key word out of the text for the participants to find and write in as part of the game. Place each sticky note inside a Bible right next to each of your chosen Bible verses. Give each team a Bible and a list of the verses with missing words you have created. Instruct players to find each verse and the relevant sticky note and to fill in the blanks on the verses sheets with the correct words. When individuals or teams have found each sticky note and each missing word, it is time to seek the treasure. It is possible to play this game as a competition with one treasure in each location or you can have enough treats for each team or child. Have an adult act as "Quiz Master" and relish a little friendly competition. Play in teams to involve younger kids or compete individually to match the Biblical family members. Imagine an online card match game and you will have the idea. 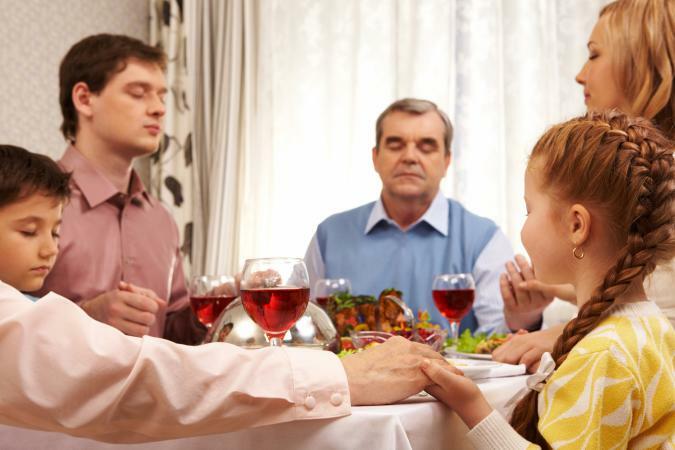 Choose eight Biblical parents and eight Biblical children who go together in family pairs. Write each of their names onto card or paper cut into approximately two-inch squares. Mix the cards up and turn upside down into four rows of four. Flipping over two cards per turn, try to match the family pairs. Every time a family pair is matched, those two cards are removed from the game. Most people have played charades but, for the uninitiated, charades is a game where one person silently acts out the clues to a book, film, play, musical or song. However, there are several ways to give this timeless pastime a Christian and Thanksgiving twist. Organize this activity beforehand or, even better, have the kids help with the set up! If you have not already prepared the charades, give each guest two to ten cards depending on how many are playing. Have participants write on the card something from the Bible they are thankful for. Biblical events rather than people's names make for easier charades. Put the cards in a pile and shuffle. Place the cards upside down. Take turns picking the top card and acting out the charades. In much of Europe, the Harvest Festival is celebrated in the fall. It is a day commemorated with singing and praying and local churches are often decorated with fruit, vegetables and flowers. It reminds people of all the good things God gives them. What better way to end Thanksgiving than by making harvest treat bags for your friends; full of good things to eat and be thankful for. It looks pretty if the treats are layered inside the bags. The treats can be healthy or decadent. Food for the treat bags. 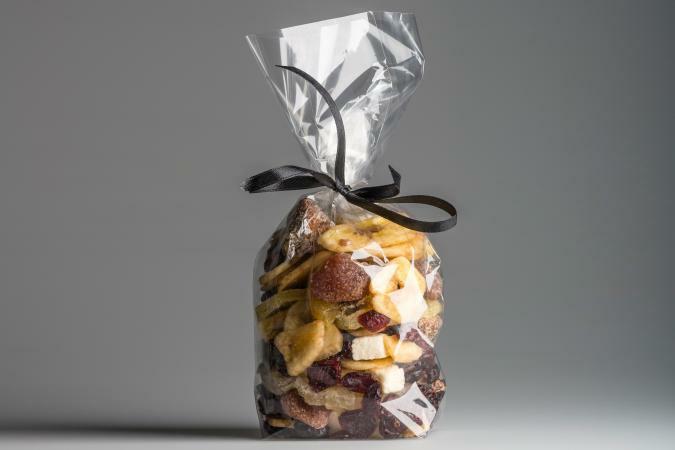 Fill the treat bags with assorted food items. Tie the top with ribbon or string. If you want, you can attach the prayer or Bible verse to the treat bags using the card or labels. Thanksgiving is a wonderful time. However, it is easy to get caught up in the season and forget the blessings and the multiple gifts to be thankful for. This year, enjoy these Christian-themed activities and think about ways you can bring blessing into the lives of those who are less fortunate. Then, Thanksgiving will no longer be a long weekend celebrated in the fall but a life-long declaration of gratitude which will enrich your life as much as it enriches the lives of those around you.